How does the ELD mandate impact the fox trotting horse industry? Many in the equine industry are asking how they will be impacted by the enforcement of the newest set of ELD guidelines. If you haul horses long distances and profit from your equine interests then it could likely affect you. The ELD mandate for commercial motor vehicle operators requires drivers to use ELDs to track the amount of hours spend driving; this system also monitors a required amount of time spent off-duty between driving shifts. Livestock haulers were granted an additional 90 days to comply with the mandate after the National Pork Producers Council requested a temporary exemption. In a letter to the Federal Motor Carrier Safety Administration, the AQHA supports the exemption and has now requested a one-year enforcement delay to the ELD mandate for the horse industry. 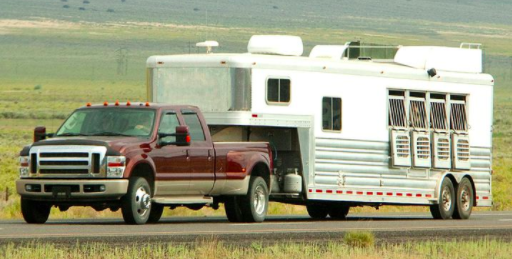 There are some exemptions to the rule already, but many of the rigs used for hauling horses to and from its events may fall outside of the exemptions and be held to the rule. The AQHA states in the letter that its top priority is with the welfare of the horses if the HOS rules and ELD mandate that require haulers to take mandated off-duty breaks are implemented (due to changes to 49 CFR Part 395, which states the number of hours haulers can spend on and off duty). What Does The ELD Do? An ELD syncs with your engine to automatically track the amount of time spent driving for those that fall under the HOS Rule. The device monitors the required 10-hour off-duty break after 14 consecutive hours of being on-duty, ensures drivers take a 30 minute break after eight consecutive hours of driving, and that a driver spends no more than 11 hours of actual drive time within the 14 consecutive hours on duty. Once the 14 hours of drive time is met, the ELD will alert the driver that they must take the 10-hour mandatory off-duty break. 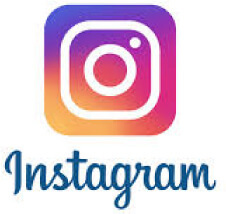 Violations will automatically be recorded and can be reviewed by authorities. Not all haulers may fall under this rule . 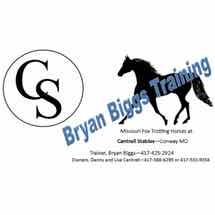 .. it is common for its members who are involved in showing, racing, ranching, rodeos, and recreation to haul their horses interstate over long distances. (1) The underlying activities are not undertaken for profit, i.e., (a) prize money is declared as ordinary income for tax purposes, and (b) the cost of the underlying activities is not deducted as a business expense for tax purposes; and, where relevant; (2) corporate sponsorship is not involved. The FMCSA goes on to state that drivers must also consult with their state of licensure to determine which licensing provisions they are subject to — referring to the operation of your truck and trailer, which may be defined as a commercial motor vehicle and could require you to have a commercial driver’s license. 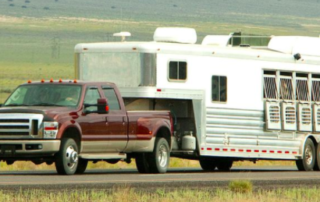 As many equine event participants file both income and expenses for rodeo on their taxes, all the while making interstate trips to travel to those events in what could be considered a commercial motor vehicle, it appears that they may not be exempt from this rule. It should be pointed that these rules are not new, but awareness for this rule is low among the equine industry due to lack of outreach by the FMCSA to livestock industry stakeholders. National equine organizations, such as the AQHA, are seeking a one-year exemption to allow both members of the horse industry to educate themselves on the ELD mandate, and the FMCSA to develop livestock specific solutions to the HOS rules. 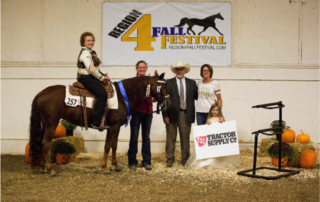 The second Region 4 Fall Festival was held recently at the Missouri State Fairgrounds in Sedalia, Missouri. 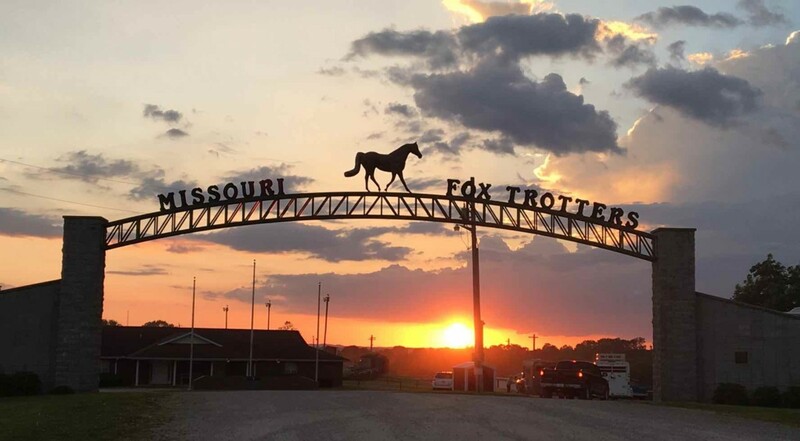 Exhibitors from Missouri, Kansas and Arkansas attended the event which included Open Gaited Breed Model and Versatility Classes along with Missouri Fox Trotting Horse Performance classes. One dollar from each entry fee will be donated to Make-A-Wish Missouri. 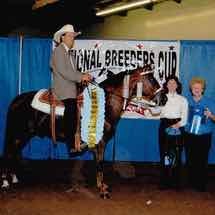 Open 4 Year and Older Champion, King’s Creole Queen owned by Becky Bailey and shown by David Ogle. This feedback has led the planners to already announce the 2018 show date. “We encourage everyone to put September 29, 2018 on their calendars,” shared Amber. 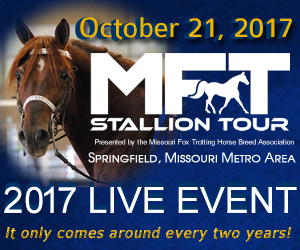 The show will again be held at the Missouri State Fairgrounds in Sedalia, Missouri. 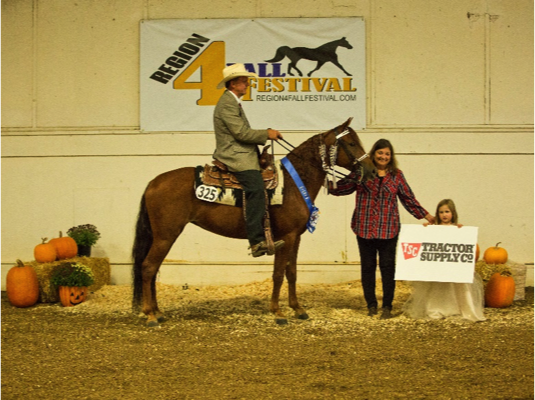 *Featured Image: Region 4 Champions Class winner, A Sirens Shadow and Ruth Moore. 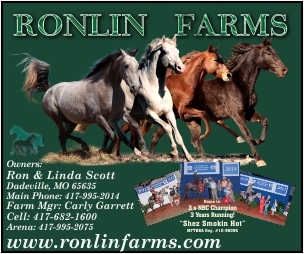 Owned by Ruth and Jessica Moore of Belton, MO. Photo by Marty Maynard. 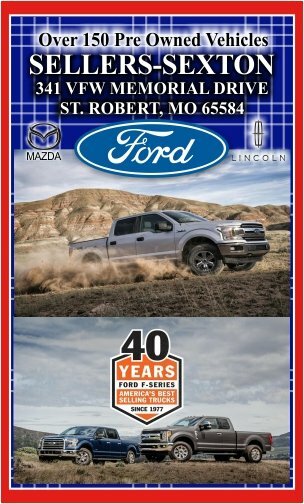 The MFTHBA Show and Celebration kicks off Sunday, September 3rd at the National Showgrounds in Ava, Missouri. 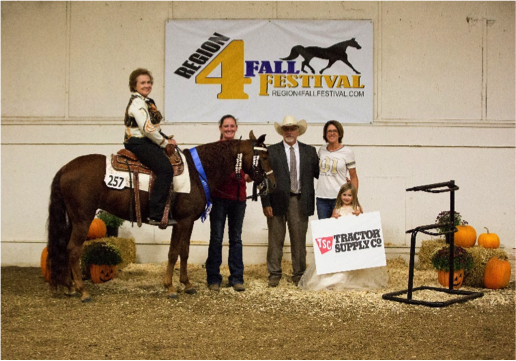 Affectionately called “The Celebration” by the tried and true attendees that make their way to the Ozark Hills each Fall to watch the best-of-the-best foxtrotting horses compete for prizes and accolades. The Celebration is a lot like a homecoming for many. You won’t have to look far to find someone that has attended every show held at the Ava grounds. And, with little more search, you’ll run across a few that were at the West Plains ballfields, where the original show was held. 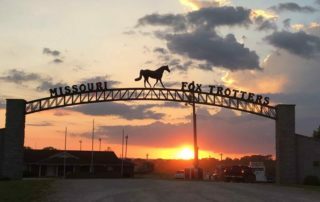 The event, original called the Missouri Fox Trotting Horse Jubilee Celebration, made it’s debut in 1959. There were 13 performance classes and 1 model for a total of 14 classes filled with the pioneers of the breed and their neighbors. And with that, the Celebration got it’s start. 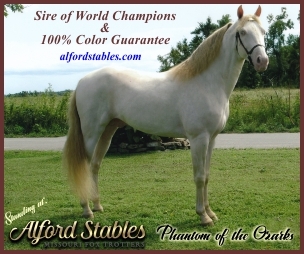 The first Senior World Grand Champion title was awarded in 1960 to “Sandy”, owned and ridden by L.O. Sweet of Springfield, MO. The Celebration that begins this Sunday looks much different than the original one day event. Exhibitors will have the opportunity to compete in 116 classes over 7 days. Versatility events round out an abundant schedule of model and performance classes that offers something for everyone that appreciates a great horse and touch competition. Come and join in the Celebration of an amazing horse! One time and you’re guaranteed to be back. The MFTHBA Marketing Committee has compiled a full list of the weeks EVENTS. 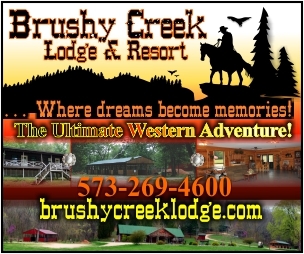 Sign Up for the Latest News, Information and More!